Security has always been important to me. I travel a decent amount throughout the year and I want to make sure that my house is secure while I’m away. If I’m at an event… I want to know that my babysitter and children are safe inside the house. Those were my main concerns. I hadn’t however thought about how many other dangers there are besides someone breaking in. I also hadn’t realized that there was affordable technology available to me to help me save on my energy costs while I’m away. Earlier this month, I was approached by Cox to give their new Home Security System a spin. I already had a home security system, I told them. 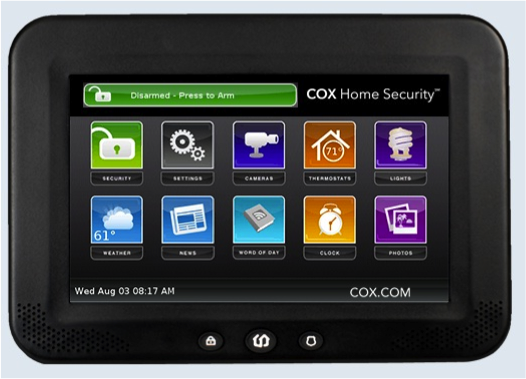 My representative at Cox, Jonathan, assured me that Cox Home Security would have features that my current system did not… for the same monthly price! So… I let Jonathan come over to do a walk through of my house. The first big shocker? My system ran off of a land line. What happens if the intruder cut my land line? No more alarm system. Yikes! I had never thought of that! Cox Home Security runs off of its own Internet router and if the Internet goes out… it runs off of cellular at no extra cost to me. Awesome. Cox 1. Current system 0. Next… My home has some appliances and the heat running off of natural gas. Cox Home Security monitors my home for Carbon Monoxide. I never thought about this potential hazard to my family! In addition… it monitors for smoke. On the first and second floor. Score more points for Cox. My system did none of that. And I’ve not even gotten to the good part yet! Jonathan had three cameras installed in my home. One views the front door outside and I can see who is ringing the door bell. No more unexpected or unwanted visitors! A second points at my back patio and a third has a clear view through most of the downstairs floor. If someone were to trip the alarm… they start recording. And those recordings could be used to catch the bad guy. Pretty cool huh? With my new Cox Home Security System… I get a handy dandy control panel. It looks like a tablet and I can add apps to it… like the weather report. From the panel… I can arm. Disarm. Check the status of all my doors and windows. Watch the cameras. Adjust my thermostat and turn my lamps on and off! How awesome is that! I can even set rules for my lights and thermostat to make myself more comfortable as I enter a room. I feel so fancy! All of this can be done from my phone. There’s an app for that! Everything I can do on my home tablet… I can do from my phone! While I’m away… I can watch the cameras and make sure the plants are being watered. I can turn a light on at night. I can adjust the temperature while nobody is home. And… I can feel secure knowing that Cox is monitoring my home along with me 24/7. If something were to happen in my home… I get a text, a call, and an email. If I don’t answer my call… I have a back up and police will be on the way. They have my back. Fo’ sho’. The Preferred Plan is $39.99 a month and the Essential Plan is $29.99 a month. And your FREE state-of-the-art security system is installed for $99. There are even bundle plans! I happen to already have Cox Cable and Cox Internet. 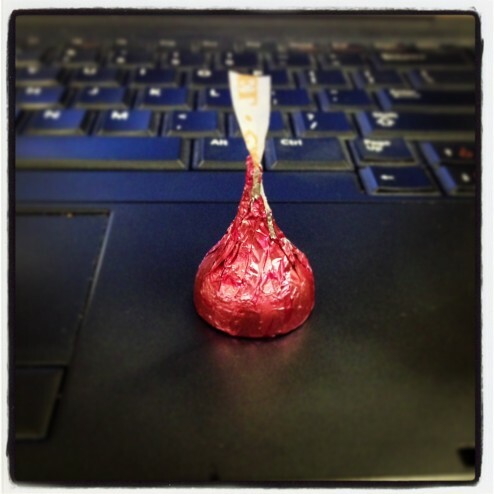 So now… my mind is even more at ease. I know that my family is protected. Not just from bad guys, but from fire and carbon monoxide. 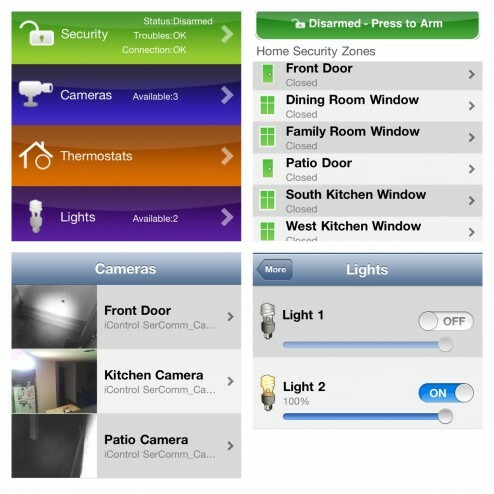 Throughout the year… I’m going to give some updates on how my family is using our new Cox Home Security System. 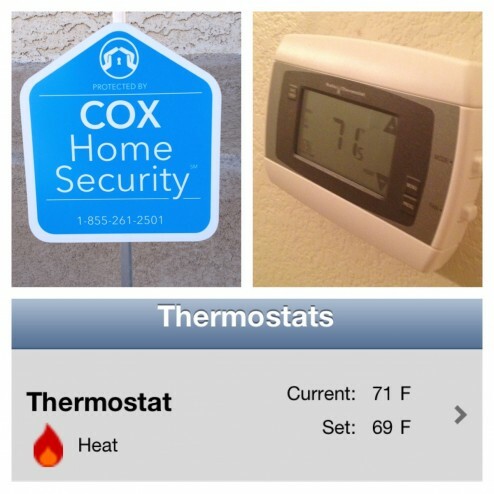 You can even tweet with me using the hashtag #CoxSecurity on Twitter. I hope you follow along and perhaps even decide that it’s time to keep your family safer and closer too. Ever since the twins were the lucky recipients of a Project Mariposa SMA iPad grant last year I have been on the hunt for iPad apps appropriate for their age level (5 years) and cognitive abilities (advanced) yet simple enough for them to navigate with their limited fine motor skills*. Thankfully iPad2 technology is advanced enough to sense even their lightest touch, but we know other children with more severe physical disabilities which prevent them from being able to use many children’s toys and so the iPad has become their gateways to their educations, entertainment, to the outside world. One issue which never changes and I get all snarly about is that ‘special needs apps’ tend to be way more expensive than the mindless ones. I get that these apps can cost much more to develop, but parents with a reasonable income can only afford so much. Which reminds me, parents–ask for iTunes gift cards at all gift giving occasions if you think your kiddo would benefit from more iPad apps than anything else! Disclaimer: frankly, I am Team Android. I wish and hope the apps I link to above are available for Android, but I doubt it. If your kiddo is on a droid and you can’t find these for him or her, I sure am sorry. Also: HEY, DEVELOPERS. WE’RE OVER HERE. My boy-girl twins are 5 years old and physically disabled with a type of muscular dystrophy called Spinal Muscular Atrophy. They are verbal, social, and intellectually advanced but lack the ability to pick up the iPad (for example). I am very interested in the new iPad Mini and how it might be a better fit for them, but for now the iPad is sufficient for us to experiment with educational games and handwriting apps. But we know many other families dealing with more severe physical limitations in their kiddos, and families dealing with non-physical disabilities. All these kids can benefit from some well developed apps. Try these out and give feedback, feedback, feedback. UAT seems to be a lost art, let’s take these firms to task! Forget the money tree. I have a credit card tree. Apparently? My newly nine year-old: MOM! I CAN GET A JUSTIN BEIBER CREDIT CARD! SIGN ME UP PLEASE! Me: No. You’re not getting anyone’s credit card. Do you realize that every time I use our credit card that we have to pay the bill back in real money? It is not free. Nothing about a credit card is free. Same goes for Justin Beiber. Her: But I just want it. Me: Right. Do you understand how a credit card works? I pay the bill for every credit card, once a month. We could never control how much money you spend if you had a credit card. You are nine years old. I would rather give you cash to buy things–at least this way I could control how much you buy. Me: Nice try. [[leaving room]] Here, have the TV remote. You can’t buy anything with that.